"The paper is very beautiful," says David Nelson, a physicist at Harvard University who was not involved in the study. "We don't know exactly where this is headed, but it is quite remarkable and to the best of my knowledge has never been seen before." 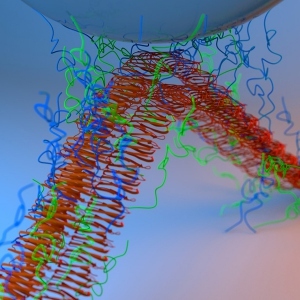 Andreas Bausch, a biophysicist at the Technische Universität München, and his colleagues built a fluid-filled pocket composed of a lipid bilayer and polymers that could actively exert forces on its surroundings. 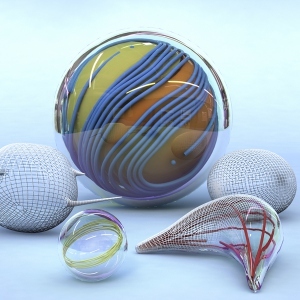 Prior to this new work, researchers could synthesize either some movable parts that mimicked the cellular skeleton, or else some parts of the vesicle. 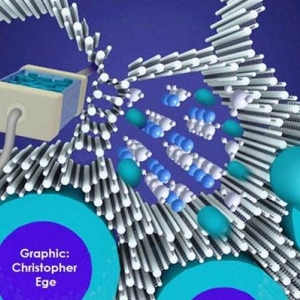 But creating an encapsulated cell-like compartment that included both of those components-and getting those components to move on their own-eluded past efforts. 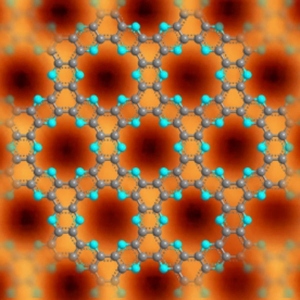 To accomplish this new breakthrough, Bausch and his colleagues subjected a lipid monolayer to a special emulsion technique invented by co-author Etienne Loiseau. Then, they coupled the monolayer with a second lipid interface, paying close attention to force and time. This created the vesicle. 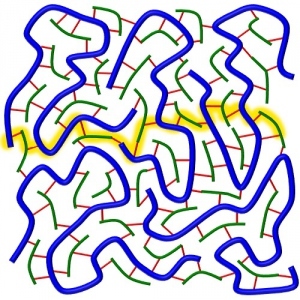 They added microtubules-which behave like nomadic liquid crystals in the vesicle wall-to form the cytoskeleton by using a technique co-author Zvonimir Dogic developed several years ago. Finally, they applied gentle centrifugal forces to seal those two components together. ATP-driven kinesin motors inside the vesicle, they observed, caused it to deform into various contortions as the microtubules were pushed in different directions, trying to align with one another while also being repulsed by four defects that swirled around the vesicle like comets. The vesicle's defects caused it to oscillate between a flattened and tetrahedral shape, and at times it released whisker-like protuberances. The team could tune the timing of these movements by changing the size of the vesicle or the type of kinesin motors used. "It's not dividing or crawling yet, but it is deforming into very unusual shapes," Bausch says. "When we first saw that, we were stunned." When the researchers quantitatively analyzed the vesicles' movements and created three-dimensional reconstructions, they realized that what originally seemed like random deformations actually perfectly obeyed the laws of physics that describe the topology of nematic crystals. "Suddenly, everything made sense," Bausch says. "We recognized that everything moved by these laws." "This work is truly important for two reasons," says Vincenzo Vitelli, a theoretical physicist at Leiden University who was not involved in the study. "The first has to do with engineering a novel class of synthetic materials made out of active components whose mechanical properties and assembly are controlled, and the second is that these synthetic structures are close enough to living organisms as to provide insights into the behavior of early life forms that marked the cross-over from inanimate to living matter." In the very long-term, Bausch and his colleagues aim to attempt to rebuild cellular functions like cell migration and division. "The big goal is to produce something that mimics the cellular system," Bausch says. "We plan to see how far we can get by rebuilding the cell from the bottom-up."